FANTASTIC VIEW! Absolutely beautiful 4 bedroom 2 bath home with 2,084 sq ft located in the highly desirable community of Wilderness Lake Preserve. As you enter the front door, you will notice the tropical backyard and amazing water view. This home features separate living/dining room; family room with sliding doors to screened in patio; upgraded kitchen with granite, built in oven, separate cook top, all stainless appliances included, as well as eat-in kitchen space. The backyard will not disappoint! Sit on your screened in lanai overlooking the gorgeous pond view. The fenced in backyard features jasmine, numerous fruit trees (includes multiple varieties of papaya, peach, cocktail, mulberry, tangerine, pomegranate, lemon) and herbs (mint, peppermint, aloe, rosemary, lemon grass, and many more) while the side yard features a beautiful butterfly garden that has fragrant rose varieties and is additionally low maintenance. For additional peace of mind, the home comes equipped with custom hurricane shutters. 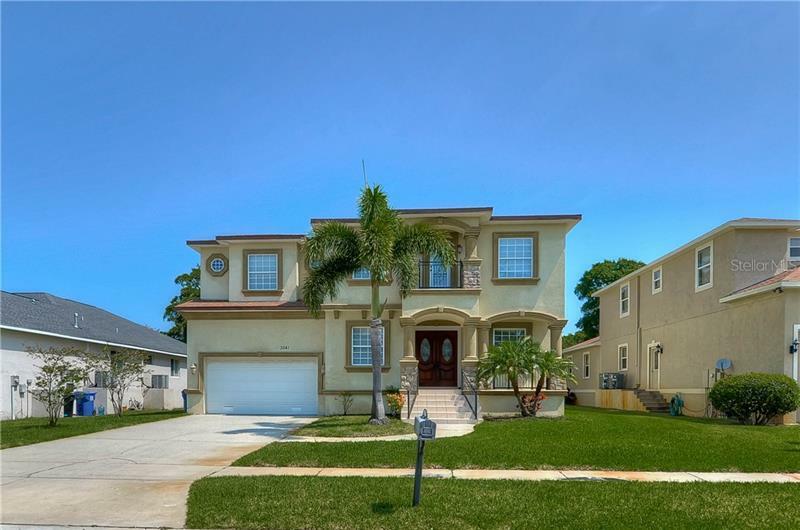 This home is located within walking distance to one of the many neighborhood parks. Wilderness Lake Preserve features a clubhouse, two pools, spa, splash play area, fishing docks, movie theater, fitness center, playground, tennis courts, and much more. Be sure to stop by “The Lodge” for a tour of all Wilderness has to offer!